We’re wildly excited to share news that we’re growing the Threefold Gifts family of makers! This month we had three new makers join the shop, and we can't wait for you to meet them. Before you shop their wares, learn a bit about the people behind the goods. 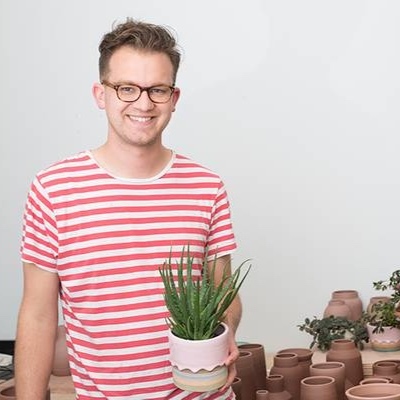 A college ceramics and design professor-turned-full-time maker, Brian Giniewski works out of his Philadelphia pottery studio. There, he creates restrained forms featuring fluid, pastel candy-colored glazes. His labor-intensive approach to glazing and firing is part science and part kiln magic. Each piece is handled dozens of times throughout the making process and is fired up to four times to achieve the viscous, drippy effect. Legend was founded in 2017 and is the second generation of a 35-year family baseball cap manufacturing company. Our caps are made from carefully-chosen fabrics that are suitable for any condition - the beach, the bar, on a hiking trail, you name it. We know what it takes to make a quality cap, and we take the utmost pride in creating a quality product that people love and wear over and over. We go the extra mile and add a custom inner lining to cover the embroidery and use real, hand-stamped leather for our patches. Calina C. Shevlin has an MFA in metalsmithing and jewelry from the University of North Texas. Having worked at Swiss watch companies and independently as a guillocheuse, her goal is to disseminate the information on guilloché far and wide. Cool! If you think your goods would sell well at Threefold, apply to be a maker!